Expect plenty of traffic troubles around Philadelphia during this weekend's race festivities. 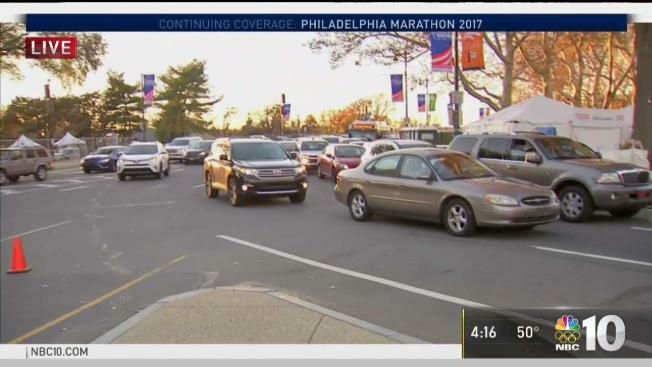 Traffic is already slowing down and police are already monitoring drivers ahead of the weekend's Philly Marathon. 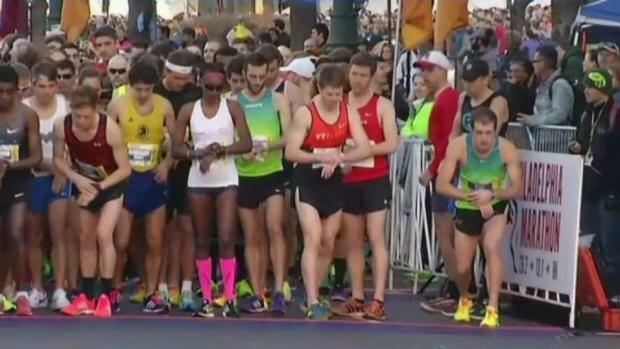 NBC10's Rosemary Connors was along the Benjamin Franklin Parkway as runners prepare for the big race. Watch the Philadelphia Marathon LIVE in the video embedded above starting at 7 a.m.
Philadelphia Marathon weekend is upon us bringing tens of thousands of runners to the streets of Philadelphia and plenty of road closures. 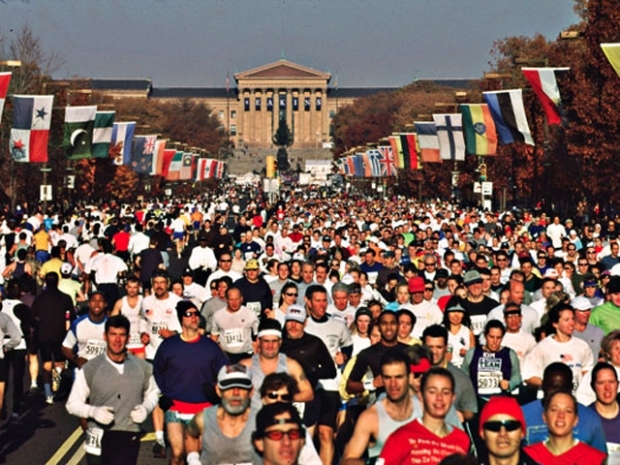 This year the AACR Philadelphia marathon, Dietz & Watson Half Marathon, Dunkin' Munchkin Run and Rothman 8K races were spread out over two days but they all (with the exception of the Munchkin Run) started near the Philadelphia Museum of Art at 22nd Street and the Benjamin Franklin Parkway. The half marathon, 8K and the Munchkin Run took place Saturday. The marathon starts at 7 a.m. Sunday. You can watch the leaders and finish line from the Philadelphia Marathon LIVE on this page on Sunday. For the 26.2-mile race Sunday, Wind gusts on Sunday morning will range from 35 to 45 mph, temperatures will start out around 50, but drop into the 40s during the race. With the strong wind gusts, feels-like temperatures will plummet during the race into the 30s. It's that time of year again! The Philadelphia Marathon weekend kicked off Friday, as thousands of runners get ready for the full marathon, half-marathon and the 8K run. NBC10's Pamela Osborne has details from the Pennsyvlania Convention Center where the free marathon expo was underway. If you are going into Phialdelphia this weekend, plan accordingly. The Phialdelphia Marathton races will lead to road closures, detours, and potentially heavy traffic both Saturday and Sunday. NBC10 First Alert Traffic reporter Jessica Boyington has all the information you need. -Spring Garden, Pennsylvania to Kelly Dr.
-Kelly Drive, inbound & outbound from Fairmount Ave.
Sarah Happy survived two different battles with cancer. As a way to recover, she started working with a personal trainer. 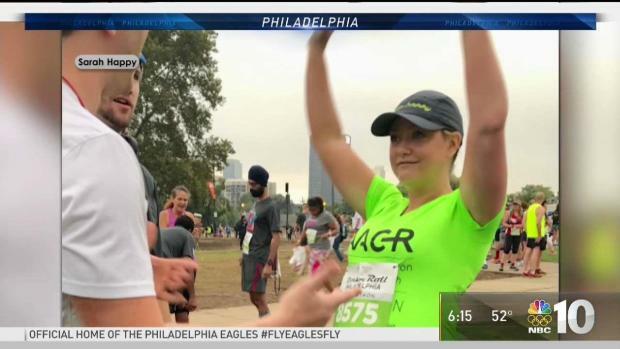 Now, she will run an 8K to raise money for cancer research during the Philadelphia Marathon weekend. NBC10's Andrea Cline-Thomas shares Sarah's story. San Diegan Meb Keflezighi, one of the most accomplished marathon runners in American history, retired after finishing 11th in the New York Marathon at age 42. It was his 26th and final career marathon. Keflezighi won the 2004 Olympic silver medal, the 2009 NYC Marathon and the 2014 Boston Marathon. He joined NBC 7 on Sportswrap with Bob Babbitt to talk about his amazing career that spanned nearly two decades. -Race St., 4th to Columbus Blvd. -Columbus Blvd., Race St. to Washington Ave.
-Washington Ave., Columbus Blvd. to Front St.
-Front St., Washington Ave. to South St.
-South St., Front to 6th St.
-Chestnut, 6th to 34th St.
-South Concourse to E. Memorial Hall Dr.
-Avenue of the Republic, E. Memorial Hall Dr. to States Dr.
-States Dr., Avenue of the Republic to Lansdowne Dr.
-Ridge Ave., Kelly Dr. to Main St.
-East of City Hall should be open by 10 a.m.
-West of the Art Museum & Manayunk area should be open by 4 p.m.
-B.F. Parkway, from 20th to Eakins Oval, including Eakins Oval, should be open by 4:30 p.m. The weekend festivities kicked off on Friday as the FREE Health & Fitness Expo and race packet picked up from noon to 9 p.m. in Hall F of the Pennsylvania Convention Center. The expo continued Saturday. It began at 10 a.m. and ended at 7 p.m.
Expect plenty of road closures along the routes for the race, which this year include neighborhoods including Center City, Old City, South Philly, Rittenhouse Square, University City, Powelton Village, Mantua and Fairmount Park for both big races and also East Falls and Manayunk for the full marathon. Police say to expect heavy traffic during the races. When possible, the cross streets will be allowed to pass, police said.